I just wanted you all to know that the seaplane float is back in service on the north end of the Thea Foss Waterway in Tacoma! We look forward to seeing your planes coming and going and we hope you have a very busy and exciting season. Please read about upcoming seaplane runway on lake Union and thoughtfully answer the poll if you have something constructive to add. It is that time of year again – time for Turkey and high winds – so we are having the Seaplane Float in the Thea Foss Waterway removed from service this afternoon. We will notify you when it is returned to service after the storm season has ended. In the meantime, enjoy your other fall/winter activities – we look forward to seeing you (or at least your planes) in the Spring! 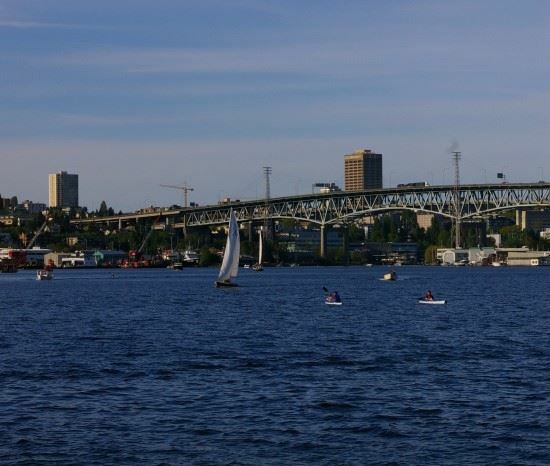 All e-mail communications with the Foss Waterway Development Authority are subject to disclosure under the Public Records Act and should be presumed to be public. The Washington Seaplane Pilots Association announces a new Website and Social Media Presence for 2015. If you are a past, current or future member, please read on as all of our communication and membership management will be performed via the new website. Our new website is washingtonseaplanepilots.org The old address www.wa-spa.org can still be used as it has been redirected to the new site. We also have a new Facebook page. You can find it by searching for “Washington Seaplane Pilots” on Facebook, or by clicking on the link at the bottom of the website homepage. The WSPA Board spent the past two years looking at our overall system needs and then the past three months implementing and testing our new website, membership and event management systems and accounting system. We hope you like it. We moved most of the data from our old site to the new one. The old site still be accessed if you go to the “About” page at washingtonseaplanepilots.org. · Pay your annual dues and make donations to the open waters fund. Newsletters will be delivered online henceforth with news posted as it occurs, not several months later. The new system provides a convenient and flexible mechanism for us to communicate news to the entire Washington seaplane community and membership. The new system automates the membership renewal process. Each member has their renewal date set to the month/day they signed up. Previously membership had been by Calendar Year. Most existing or recent members have their renewal date set to January 1st, 2016. Some more recent members have their renewal date set later in the year coinciding with the month/day they paid. Annually, you will receive three renewal notices and (hopefully not) two past due reminders. These emails include a link to our online payment system where you can pay securely with Credit Card or by using Pay-Pal. We imported 381 member names and contact information from our old spreadsheet based system. If you do not want to be a member or receive communications from WSPA you can opt-out. Anyone is able to join or renew online. No personal information is available on the website. When you log in you can edit your profile, enter information about your seaplane, and opt-in to enable your visibility for other members to see. Most of all I would like to thank Austin Watson, WSPA Board Member, for driving this to conclusion. His leadership has been instrumental in making this happen. And thank you to our board of directors for providing much of the content. My wife and I visited this seaplane base on return from the Clear Lake, CA splash-in this summer. 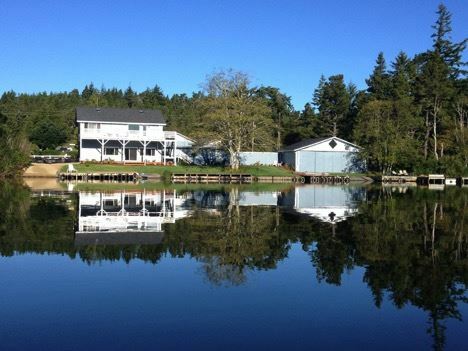 Lake Woahink is the only charted seaplane base on the Oregon coast. The lake is 2nm long and oriented north/south. The seaplane base is on the south end of the lake adjacent to Highway 101 and opposite an RV campground. The current owners, Greg and Jan Murphy have created a vacation rental on the property. 100LL is available 5 nm to the north at Florence (6S2). Greg and Jan are happy to provide transport to Florence if they are available. The Columbia Seaplane Pilots Association have recently held a splash-in there. Note – watch the coastal wind, lake orientation helps but it can get pretty stiff. Contact Greg Murphy – 818-512-0256 for current dock status and accommodation details. Kenmore President Todd Banks said, "...state-owned Aviation Industry Corporation of China (AVIC) signed an agreement with Kenmore to design, certify and manufacture the floats that will convert 100 Chinese Harbin Y-12 twin-engine turboprops into seaplanes.